I would like to thank you for being so easy to work with on our first mailing. We feel blessed to have come across your company and hope this is the start of a long business relationship. I greatly appreciate your being so helpful, you guys have a great team. I am so impressed with everyone at Select Mailing. Thank you all for making this first experience positive and pleasant one for our staff. We look forward to continue our work with you and for your support to help us feed more hungry San Diegans in our community. Thank you again for the great service and price! You and everyone at Select Mailing = Just Fabulous! Thank you for your attention to detail, your friendly understanding, your laughter, your professional and technical know how and your quick turnarounds. You have a fine, well oiled company that meets the expectations of all of the fortunate companies that use your services. Our relationship with Select Mailing has been particularly great, it is a pleasure to work with your team. I’ve never experienced anything but great quality and customer service. As always, it is great working with your business & staff. Thanks for all of your help. As usual, you live up to the reputation as a company that provides great customer service and a professional product. You’re an amazing vendor that truly comes through. We can’t thank you enough. 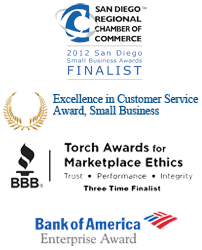 It is a pleasure to do business with people who always keep their word and provide professional and excellent service. I have been very satisfied with my experience with Select Mailing, you are definitely our ‘go to’ company for all of our data and mailing needs. We really appreciate that you can do this extra work for us so fast. Thanks for always providing top notch service on all of our mailings. We'd like to work with you again! You helped us with our last successful mailing and we’d like to work with you again. You get a big star for proactive customer service. You and your team are fantastic!